Could fracking cause a drastic impact upon farmers everyday lives? 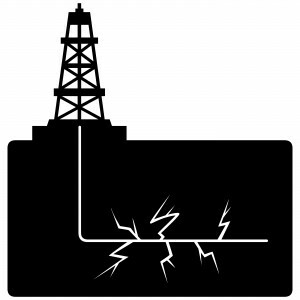 With many counts of fracking rumoured to take place in various locations across the UK, farmers have recently voiced their opinions in order to address their worries as to the affects hydraulic fracturing may have upon their land. Many farmers affected by this process fear that it may result in their land being valued on a lower scale not only this but it may also have an effect on the quality of their goods. In addition to these fears, they also state that their worries have been pushed aside by ministers. The Government are creating new laws which will allow people to be stripped of any powers enabling them to block the hydraulic fracturing process on any of their land or any land situated deep beneath them. Around 47,000 businesses are represented across England and Wales via the National Farmers Union. This organisation has stated that its members hold strong opinions in distress that their land may be drastically down valued due to being directly above an active fracking site solely; “because of current perceptions and attitudes towards fracking” even if by chance in the near future no harm is caused. With this idea looming, if pushed into action it could have many serious consequences for many farmers especially those of whom who hold mortgages in order to secure their land – resulting in possible financial implications. Farmers who produce a large variety of goods for various supermarkets fear that fracking may have an impact on this subject because supermarkets could reject the offer to continue purchasing goods from affected suppliers. The NFU’s chief advisor on renewable energy and climate, Dr Jonathan Scurlock stated that the group are trying their hardest to obtain assurances that various land owners in affected areas will be highly protected against any possible impacts caused by fracking. Dr Scurlock also expressed his views towards the decision provided by the Government whereby they have insisted upon radically redacting an official report which covers the potential impacts of Fracking on the rural economy has been deemed as a “public relations disaster”. He then warned;“I don’t think anyone can take support of agriculture and the rural economy for granted”. The National Farmers Union accepts that laws may need to be thought over another time in order to make the process of gaining access easier for companies, but “to the detriment of landowners”. Under plans that are currently moving through parliament, voluntary payments may be made to surrounding community groups to compensate towards the underground access. Dr Surlock expressed that the NFU are not entirely satisfied with the projected plans and as well as this there was also no real reason as to why land owners should not get individual payments – all of which aren’t expected to be substantial mainly because fracking in the open countryside would possibly only require subjected companies to deal with a handful of land owners. The Nation Farmer Union are understood to have organised a meeting with the Energy Minister in charge of fracking Matthew Hancock, and as soon as Monday comes they could be meeting to discuss various issues after being extremely disappointed with the Governments issues in which they failed to address such concerns, these of which had been set upon in response to a previous consultation on the issue. The response provided by the NFU also discloses concerns towards other aspects that are involved with fracking such as its safety. Chief executive of the fracking body UKOOG, Ken Cronin mentioned that there was “no known correlation between diminution of land value and any existing sites” of either oil or gas drilling within the UK. Also stating that “farmers must be assured that there should be no diminution in the value of their land as this is a heavily regulated industry”. A spokesman for the Department of Energy and Climate Change stated;“Whilst the shale gas industry in Britain is in its infancy, extensive research confirms that we - in the UK - have the right regulations in place to ensure that drilling so far underground has no negative impact on the surface. In fact, many other industries already have access to lay cables and build infrastructure, such as water pipes and tunnels. Of over half a century of oil and gas production in the UK, there has been no evidence that house prices have been impacted and there should be reason for this to change for shale gas”. Do you think farmers should be given more rights to enable them to stop fracking being carried out on their land?